Former 135-pound world champion Omar Figueroa Jr. eyes a knockout within the first four rounds of his 140-pound clash with John Molina on February 16 on FOX (8 p.m. ET/ 5 p.m. PT) at the Microsoft Theatre in Los Angeles near Molina’s home of Covina, California. With an impressive performance against 36-year-old Molina (30-7, 24 KOs), “Panterita” (Little Panther) (27-0-1, 19 KOs), of Weslaco, Texas, looks to pick up where he left off in July 2017, when he ended a 19-month ring absence with a sensational five-knockdown, third-round TKO of former two-division champion Robert Guerrero. Guerrero was stopped for the only time in a career that includes beating former champions Andre Berto, Joel Casamayor and Michael Katsidis, and decision losses to current and former champions Floyd Mayweather Jr., Keith Thurman and Danny Garcia. Figueroa earned the WBC’s interim 135-pound with a two-knockdown, unanimous decision over Nihito Arakawa in July 2013 and defended it in April 2014 by split-decision over Jerry Belmontes. After beating Belmontes, Figueroa made an August 2014 defense against Daniel Estrada, stopping him in the ninth round. Figueroa vacated the crown before his next fight in May 2015, a 141 ½-pound unanimous decision over English former champion Ricky Burns in Hidalgo, Texas. Next up was a unanimous decision over southpaw Antonio DeMarco, a former 135-pound champion he defeated by unanimous decision in December 2015 before facing Guerrero. DeMarco fought Figueroa 38 months removed from his 44-second stoppage win over Molina (September 2012), an all-action brawler who lives 30 minutes from Los Angeles in Covina, California. “I don’t see where I’ll have any problems getting Molina to conform to my style of fighting, which is kind of like his style of fighting,” said Figueroa, who is ending 17 months of inactivity. Following his loss to DeMarco, Molina won three of his next four, including a majority decision loss to then-unbeaten Andrey Klimov (June 2013) and consecutive victories by 10th- and second-round TKO over future titleholder Mickey Bey and Jorge Pimentel in July and November 2013. Over the course of his next three 140-pound bouts, all non-title losses to current or former champions, Molina fell by 11th-round knockout to Lucas Matthysse (April 2014) and consecutive unanimous decisions to Humberto Soto (September 2014) and four-division title winner Adrien Broner (March 2015). After Broner, Molina won two straight by third-round knockout over Jorge Romero (November 2015) and unanimous decision over former champion Ruslan Provodnikov (June 2016) before suffering an eighth-round TKO loss to three-division champion Terence Crawford (December 2016). But Molina bounced back, yet again in his last fight in December by rising from the canvas in the second round to score his own pair of knockdowns on the way to a fourth-round TKO of Ivan Redkach. “I don’t see anything special when it comes to John Molina’s style. 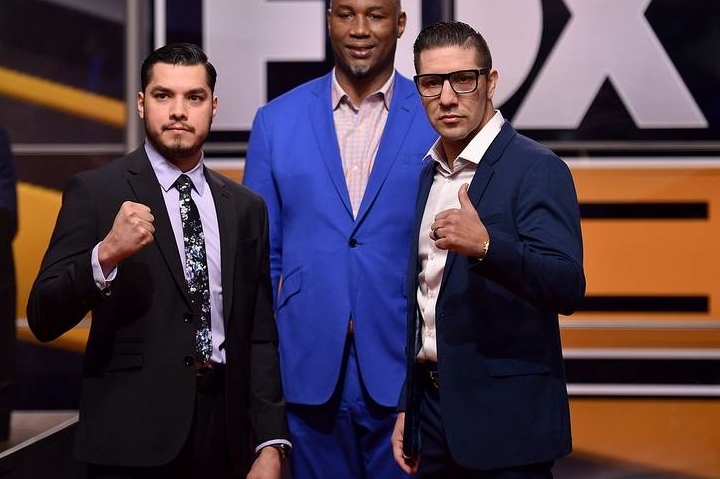 It’s going to come down to who can impose their will the best,” said Figueroa, who stands 5-foot-7 ½ to Molina’s 5-foot-10½, with a comparable 73-inch reach to his rival’s 71.